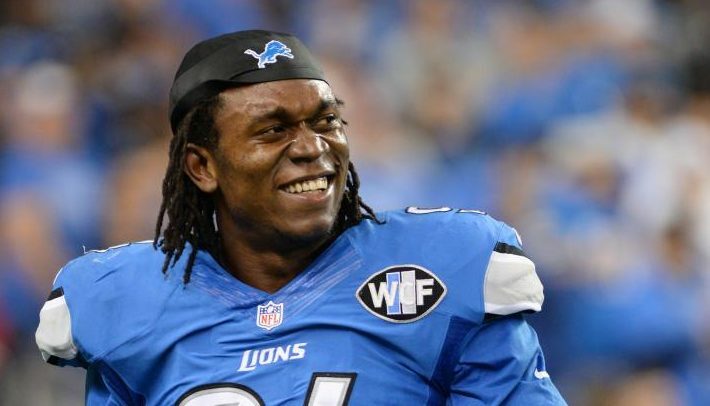 Ezekiel “Ziggy” Ansah was born in Ghana. He is currently a defensive end for the American football NFL Detroit Lions. A BYU sophomore named Ken Frei served a voluntary two-year mission for The Church in Ghana. 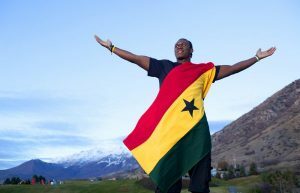 As he and other missionaries played basketball during their day off, he noticed a Ghana native watching them and invited the man to join them. He eventually taught the gospel to Ziggy, who accepted an invitation to be baptized. Elder Frei suggested Ziggy go to the United States and attend BYU. Ziggy applied and was accepted. Frei, who ended up being Ziggy’s roommate at BYU, took him to see his first football game in 2008. Ziggy said he didn’t like because it was too violent. Ziggy grew up playing soccer, but really wanted to be a basketball player in the NBA. He regularly played pickup basketball games at Golden Sunbeam Montessori School where he attended from 4th grade to 9th grade and developed his basketball interests and abilities on a turf donated by Forever Young Foundation (Steve Young). Ezekiel played on Golden Sunbeam basketball team and became the most valuable player and led his team to win many games. When he got to BYU, he tried out for the basketball team but was rejected—twice. Next, he tried track. He competed with the team and ran his personal bests in the 100-meter dash (10.91) and 200-meter dash (21.89). His size, though, caused him to bump into players in the other lanes, so that career came to an abrupt halt. Ziggy’s family and friends suggested he try football, where running into people is part of the game. He was accepted as a walk-on his first try, despite never having played before. He didn’t even know how to put on his pads. At first, the coach didn’t really take him seriously. He had never played before, and he didn’t know anything about the game. 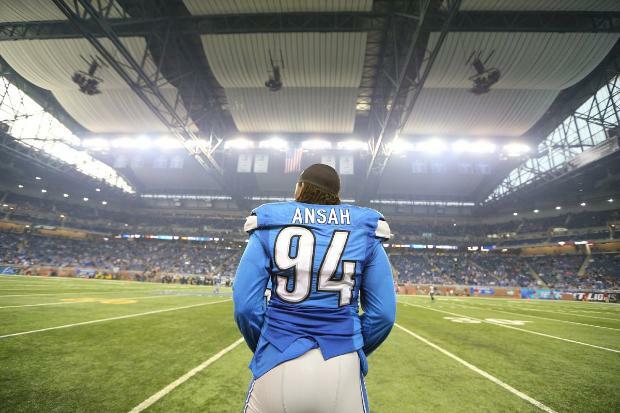 All the same, in Ansah’s first game, Mendenhall decided to put him in. He just told Ziggy to watch who caught the ball and then run to that person. Ziggy found it hard to remember everything he was supposed to do with all the noise and confusion, but he took off towards the person who caught the ball. Although he didn’t tackle him, he did run over three blockers from the other team without actually noticing he did. He was greeted with cheers as he left the field. When Mendenhall watched the game tapes the next day, he noticed Ziggy was also faster than any other player. He decided to give the new player more field time. 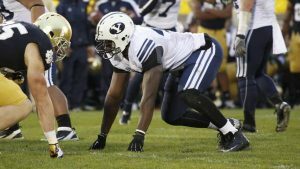 Ziggy’s teammate, Kyle Van Noy, realized how hard it was to play a brand new sport in front of huge crowds that looked different and spoke a different language. He offered to mentor Ziggy and the new player soon began to play effectively. While attending BYU Ansah worked for several years as a custodian in order to pay his tuition. The Detroit Lions picked Ziggy the first round (5th overall) of the 2013 NFL Draft. On the Detroit Lions website, his bio describes him as a “Bruising defensive end with unrivaled size and raw talent who possesses the ability to play multiple roles along the Lions defensive line. Earned his first nod to the Pro Bowl following a dominant 2015 season and also received Associated Press Second Team All-Pro honors.” It also shares that Ziggy is an active member of The Church of Jesus Christ of Latter-day Saints.